An obedient dog is a happy dog. So pet owners who want the very best for their pooch should check out Doggie Mannerz—a local company that offers puppy training, private obedience classes, dog psychology lessons, doggie boot camp and more. "The best thing about working at Doggie Mannerz is the personal relationships that I've made with our clients and their dogs," owner Kendra Beckman says. "Being a small company allows us to really get to know the clients—human and dog—and some of my best friends were previously clients. I love getting to see dogs that have been challenging for their owners become a well-balanced part of the family." Beckman first got into dog training when her first pup, Bailey, was struggling with a lack of socialization and obedience. She started working with some other trainers, and then she came across Los Angeles-based Linn Boyke, who had trained with Cesar Milan. "Bailey and I made the cross-country drive to work with him and I was soon offered a job where I worked with Linn for a year," she says. After that, Beckman moved to Chicago where she continued her training, and in 2007 she came to Salt Lake City and started her own business. One of her favorite parts of the company is the personal touch provided to both humans and their dogs. "During private lessons, we cater our training to fit your family's needs, while dogs that attend our board and train program stay at my home and become a part of my everyday life." She adds, "We also do a lot of training in public to help dogs with their skills in practical, real-world settings. 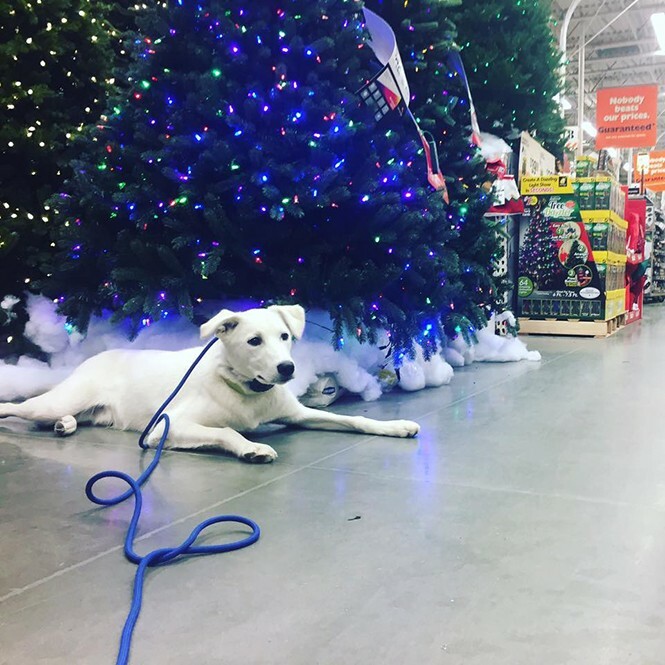 On any given day, you might see us on a pack walk at Liberty Park, in a shop at City Creek, in the aisles at Home Depot, or on a patio having lunch." Doggie Mannerz' training programs help pets in all stages of life. Puppy consultations last two hours and teach owners how to housebreak and crate train, as well as stop puppy play biting and reduce chewing. Lessons include four in-home sessions on housebreaking, crate training and basic commands. Dog psychology classes also take place in the owner's home and are focused on the human side of the relationship—teaching owners how their dog thinks and learns, thereby bridging the communication gap between humans and dogs. Beckman also has a history of volunteering with animal shelters and rescue organizations. With three rescue dogs of her own, Beckman is passionate about supporting that community. "We love seeing dogs get a second chance and blossom in a forever home," she says.